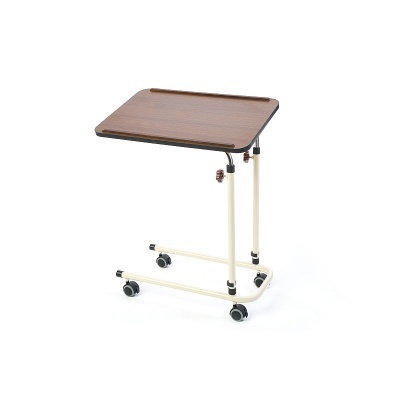 Overbed tables provide excellent functionality in care home and hospital environments, but are often overpriced or lacking in quality. 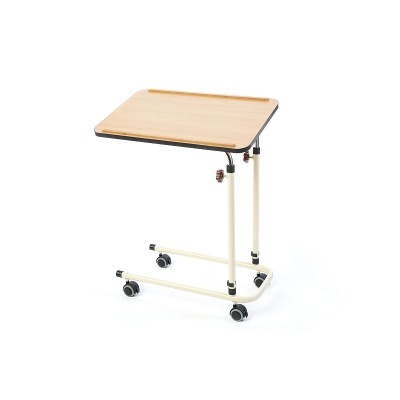 The Alerta Anti-Topple Overbed Table has been designed as a reaction to this hole in the market, providing a sturdy and reliable overbed table at a very competitive price. 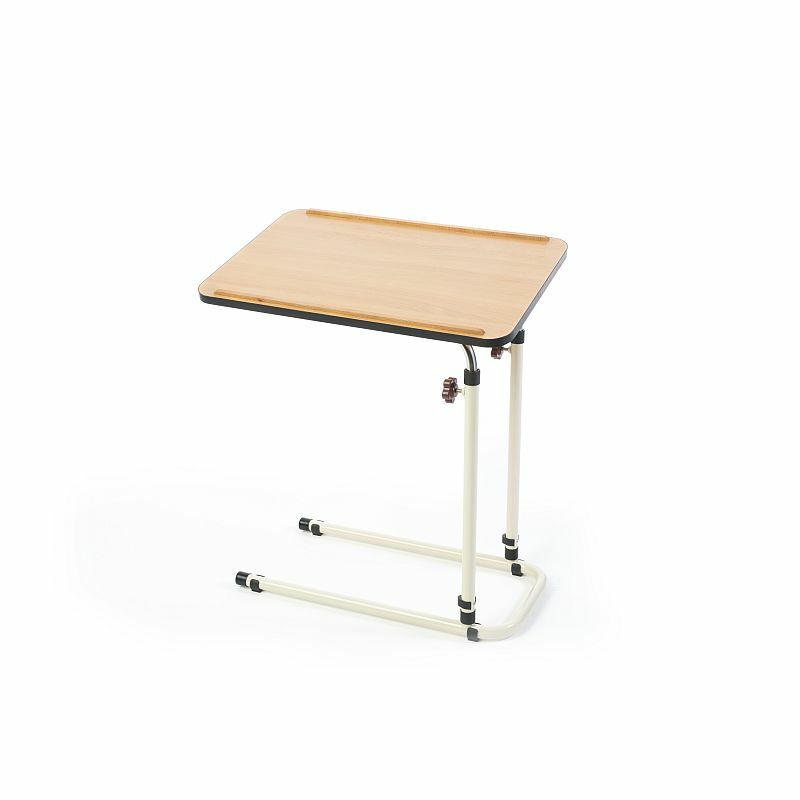 With an anti-topple design and fully adjustable height and tilt, this table allows users to comfortably enjoy activities and mealtimes in bed. This table is available in a choice or walnut or beech wood, each with or without castors. Select your desired options using the drop-down menus at the top of the page. To facilitate all sorts of activities, beds and users, this bed can be adjusted in both height and tilt, allowing comfortable use in any environment. Tilt adjustment will make activities like reading or using a tablet simple, while height adjustment provides comfort for a number of seating positions and bed heights. The shape of most overbed tables makes them extremely top-heavy and prone to tipping, but this table is designed to eliminate that problem. 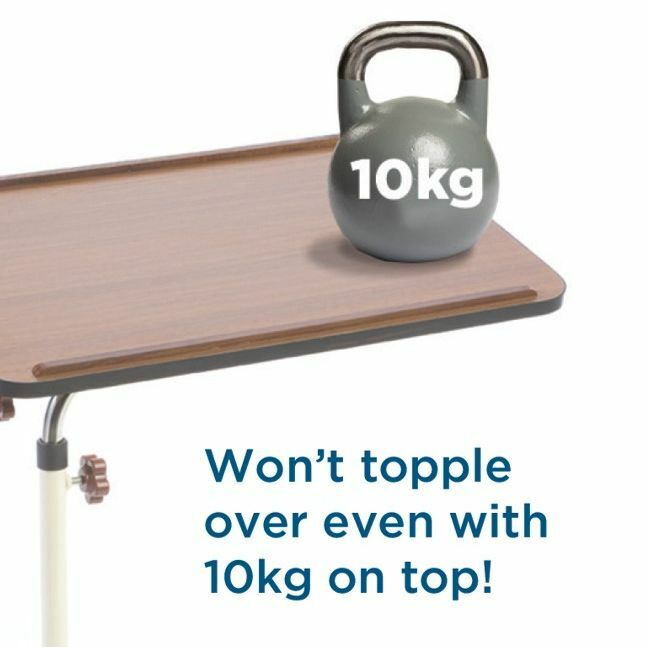 With a unique anti-topple design, this table can withstand 10kg of weight on its edge while maintaining stability. 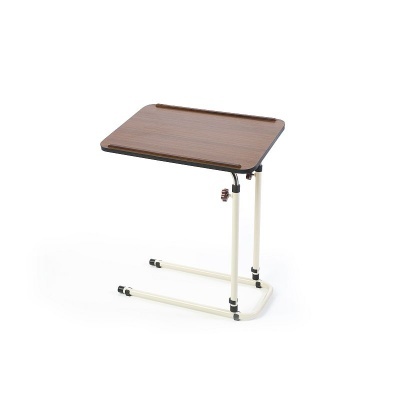 This makes it extremely safe and easy to use, as the user can lean or place objects on the table without worry. As this bed is suitable for use at mealtimes and in hospital environments, it features a laminate top that is easy to wipe down and disinfect. The raised edges contain any spills, ensuring that keeping the table and surrounding environment clean is as easy as possible.